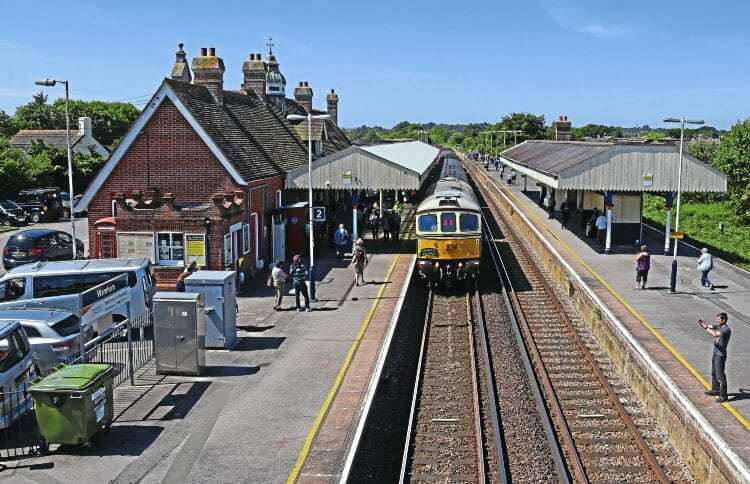 June 13 was a very significant day in the history of the Swanage Railway when it ran the first timetabled service to the main line at Wareham. It was the first such service since January 1, 1972. Hauling the train was the railway’s Class 33 No. 33012, which is ready to return to the coastal town.